$3,600 Toward A New Mattress? We Can Rest Easy With That! One thing we are looking forward to now that summer is coming to a close is getting a good night's sleep via Mother Nature's air conditioner — an open window. Of course, temperature is only one determining factor in getting some decent shut-eye. A lumpy or sinking mattress is as bad for sleeping as ill-fitting shoes are for walking. Not to worry — we've found a solution. And, yes, it's time to remove those sheets and comforter. Chicago Luxury Beds and Hästens USA launched a promo called "Trade Up to Handmade," which, as the name suggests, gives you a $3,600 credit toward a handmade Hästens bed just for dragging in that old mattress of yours. Depending on the size and the line, a regularly priced mattress costs anywhere from $3,520 to a whopping $35,840. Yeah, we were shocked at first, too, but as it was explained to us, these mattresses are guaranteed to last at least 25 years and are made of all-natural materials (think horse hair) that won't break down like foam. Needless to say, Hästens is the Cadillac of mattresses. Described as "life changing," the company is dedicated to creating products that will help with four different types of sleep: beauty, brain, health, and performance. Take that, NyQuil! This offer is only good through September 30, so don't, um, rest on your laurels, k? 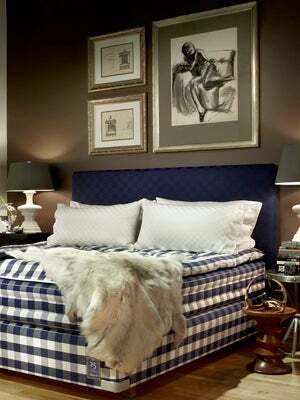 Chicago Luxury Beds, 440 North Wells Street (between Illinois and Hubbard Streets) Suite 100N, 312-527-5337.